If UCP Leader Jason Kenney becomes Alberta's premier next week, investors in the Canadian energy sector should brace for a significant amount of risk, according to a report released with less than a week left in the Alberta election campaign. If United Conservative Party (UCP) Leader Jason Kenney becomes Alberta's premier next week, investors in the Canadian energy sector should brace for a significant amount of risk, according to a new report released with only days left in the Alberta election campaign. The report comes from the Eurasia Group, a U.S.-based political risk analysis and consulting firm. At this point, the Eurasia Group expects a Jason Kenney victory in the Alberta election. In the fall, it expects Prime Minster Justin Trudeau to be re-elected, a scenario that would "create further uncertainty in an already chaotic energy policy framework in Canada." 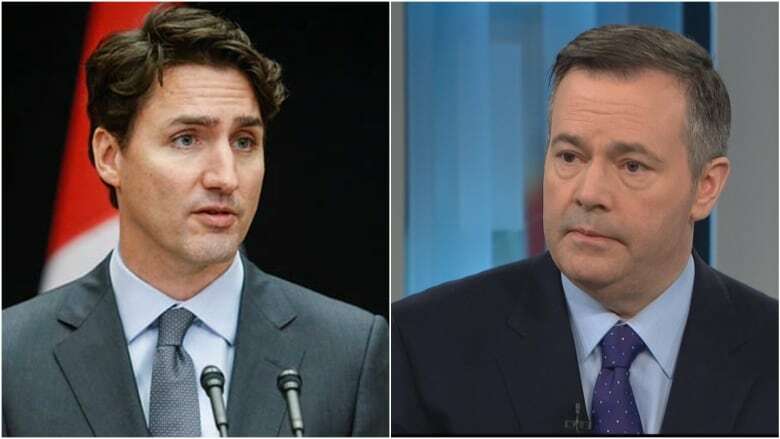 While NDP Leader Rachel Notley has disagreed with Trudeau on many occasions, their policies are more aligned compared with Kenney's UCP platform. A Kenney-Trudeau showdown, according to the Eurasia Group, would make "final resolution of key policy issues and project approvals harder to achieve." In a brief email statement to CBC News, the UCP said it "would encourage this New York-based consultancy to take a look at how the Trudeau-Notley alliance has failed to bring tangible, positive results for Albertans." The report explains how some companies in the oilpatch support Kenney's policies, while others support Notley's. For example, typically the larger companies are in favour of the carbon tax and other climate policy, while smaller companies oppose. The UCP is pledging to get rid of the carbon tax and all of the other policies that are part of the NDP's climate plan, including the accelerated phase-out of coal-fired power plants and a cap on total oilsands emissions. 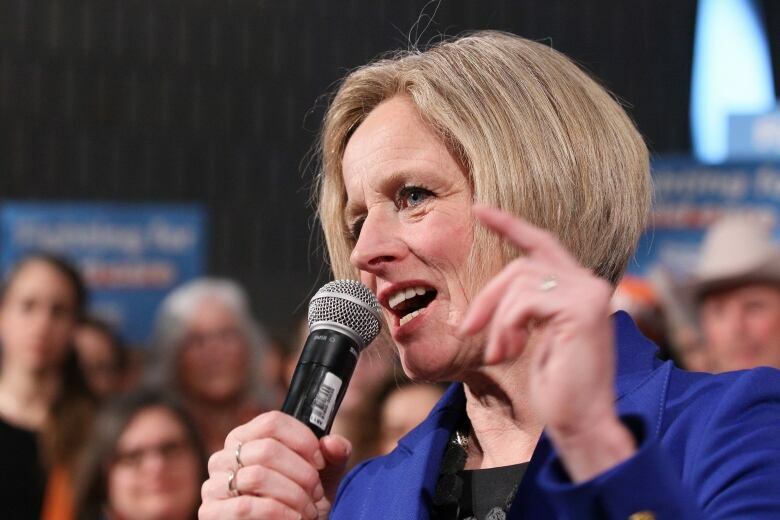 The NDP argued that its carbon tax and oilsands emissions cap are, in part, aimed at gaining social acceptance within Canada to build large oil export pipelines. Calgary-based energy economist Peter Tertzakian, with the ARC Energy Research Institute, said some people in the oilpatch are "nervous" about a regress of climate policy in Alberta, if Kenney is elected. "There's definitely a segment of the industry pausing and thinking quite hard about the implications of dramatic policy reversals or policy implementations that are controversial," he said. Final approval of the Trans Mountain pipeline project by the federal cabinet and resolving key issues impeding construction such as the B.C. government. Clarity for investors on the carbon price for Western Canada's oil and gas production. Potential modifications to address industry concerns about Bill C-69, while preserving tighter standards for First Nations consultation and climate considerations. An "exit strategy" for the Alberta oil production curtailment. Fiscal policy to address competitiveness concerns with the U.S. shale sector. If the above list can be resolved, Canada would be "back near the front of the queue for global upstream investment in both oil and gas," according to the report. The Eurasia Group said a Notley re-election looks unlikely but would "reinforce the fragile consensus on climate policy and pipelines between Ottawa and Edmonton." The Eurasia Group did not immediately return a request for an interview.